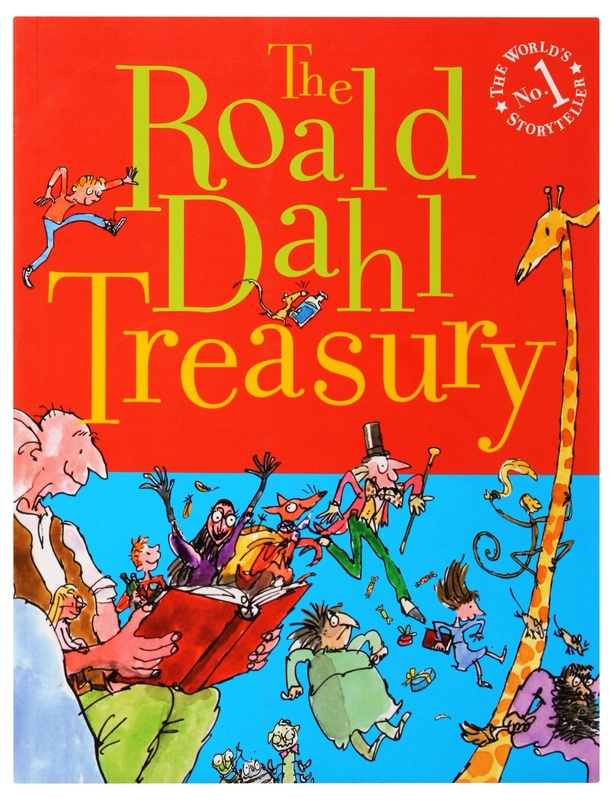 Children’s publisher Scholastic has announced a new book prize celebrating funny fiction, in the wake of the now defunct Roald Dahl Funny Prize. The Laugh Out Loud Book Awards – dubbed ‘the Lollies’ – launch this month and will award the Best Laugh Out Loud Book across three categories: picture books, age 6 to 8 fiction and age 9 to 13 fiction. Former Children’s Laureate Michael Rosen will lead a panel in selecting a shortlist of four books for each category. The winners, however, will be decided entirely by children, with schools being asked to place their votes on the award’s website. The recent Kids and Family Reading Report, conducted by Scholastic, found that 63% of children want to read books that make them laugh. Rosen is keen to make sure that funny books continue to find their audience. The shortlist will be announced next March with the winners revealed at an awards ceremony in September. Quite simply, the picture books of author Isabel MInhos Martins and illustrator Madalena Matoso are astonishingly good. Their collaborations are distinctive and bold, light and playful. They take as their starting point an open-ended question or idea – the sort of thing that a child might be curious about – and then joyfully attack it from many imaginative angles. A good place to start is When I Was Born, where they explore first discoveries and the joys of the senses. The illustrations are bright and busy and the blocks of colour work to great effect against a black and white background. There is plenty to keep a young reader entertained and adults will enjoy remembering what it was like when ‘everything was new’. Michael Rosen recently suggested that an easy way of engaging a child was to wonder out loud with them. When I Was Born is a book that will allow you to start wondering together. 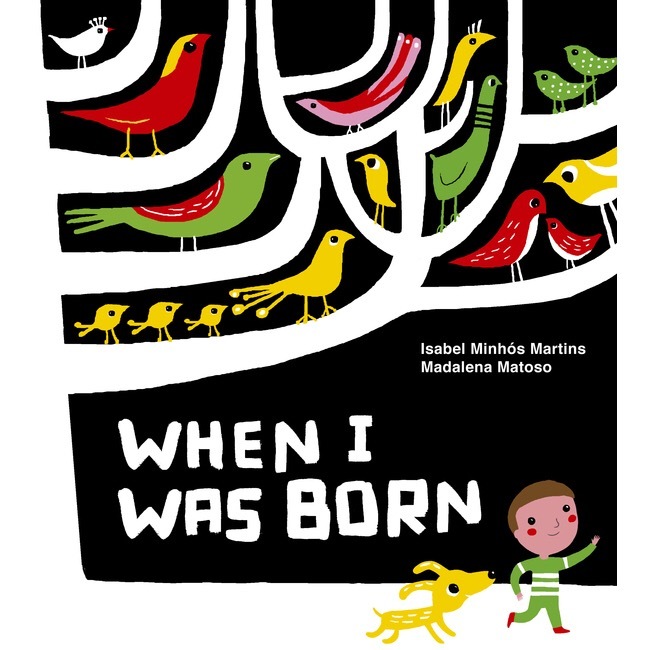 When I Was Born, by Isabel MInhos Martins and Madalena Matoso, published by Tate Publishing, is available now. 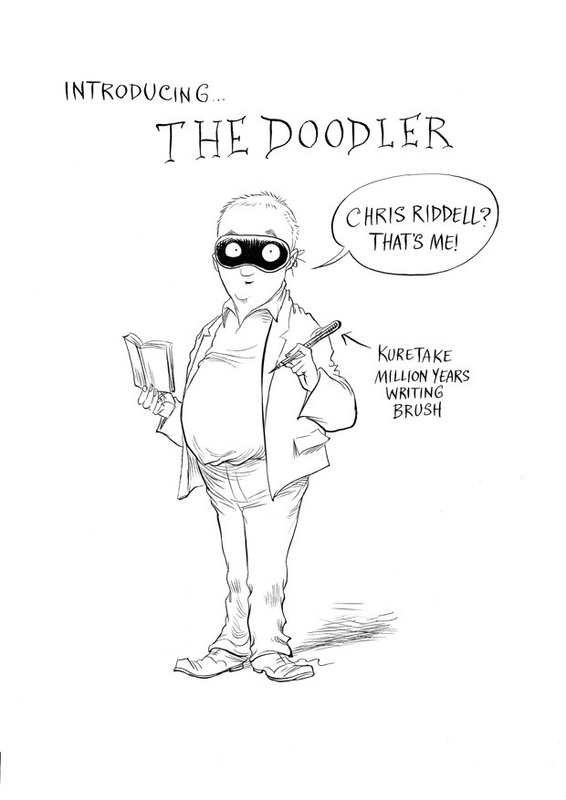 Chris Riddell – illustrator and author extraordinaire, perhaps best known for the Ottoline series and The Edge Chronicles – has been announced as the new Waterstones Children’s Laureate. He takes over from YA author Malorie Blackman and joins a distinguished list which also includes Michael Morpurgo, Quentin Blake and Jacqueline Wilson. During his laureateship, which will run until 2017, Riddell’s chief focus will be extolling the importance of illustration and visual literacy. He will chronicle his experiences in an illustrated ‘laureate log’ – to be shared over social media – and encourage children to keep their own sketchbooks. Following on from previous laureates, he will also continue to champion libraries. Malorie Blackman – who faced Twitter abuse in response to her call for more diversity in children’s literature – said the best advice she could offer the next children’s laureate was to speak their mind and ‘have fun’. It certainly sounds like Riddell has plans to do both. Shaun Tan is one of my favourite artists. His picture books such as The Red Tree and The Arrival describe the human experience in spare language and stunning, atmospheric imagery. Rules of Summer follows two young brothers over the course of a summer, capturing the headiness of long, hot school holidays and the rituals and customs of children’s imaginative play. I recently went back to the book after it was shortlisted for this year’s Kate Greenaway Medal for illustration. It was every bit as evocative as I remembered. The unique and detailed illustrations are rendered in a thick acrylic paint that creates an incredible texture. There is a wonderful depth of colour as the story moves from bleached landscapes to dark, surreal moodscapes. This is a story that lives and breathes, so strongly does it conjure that time in our lives – set loose from school and home – when the only rules that mattered where the ones we made up. Rules of Summer, by Shaun Tan, published by Hodder Children’s Books, is available now. Doorstep Library is a charity that sends out teams of volunteers to read stories to children in low-income areas. I talked to Emily at DL about the challenges they face, the books they read and the difference their volunteers make. Why is it important for children to read outside of school? It is important to separate reading for pleasure from academic work. Children too often connect books with something challenging that they ‘have to do’ for school, and therefore miss out on the excitement and imagination that stories can bring. Encouraging reading outside of school – particularly of the books that they want to read – shows them that books can be fun, enjoyable, and can open up new worlds they never thought existed. Also, when children start reading for the sake of reading itself, they are naturally practising, which will then support their school work. What are the challenges in terms of other distractions? What are books competing with for kids’ attention? Modern life is full of distractions and stimulations, particularly with technology. A lot of the children we visit have never thought to pick up a book for pleasure as they would rather be on their computer or watching TV. Even very young children are learning how to use iPads before they understand how a book works. These challenges are not insurmountable, but more promotion of books is needed now than in the past. It’s not that children don’t like books anymore, but with so many more competing pastimes, they are just not always aware of the pleasure they can bring. We work in disadvantaged areas, so many of the families we visit are on a low income. This creates other challenges. When a parent is stressed or overworked, they can have little time or energy left to encourage their child to read or share a story with them. Parents are the biggest influence on a child’s development, but for many families reading together is not something they are able to prioritise. How do you make sure reading doesn’t feel like too much of a chore, or more schoolwork? We offer the children a wide range of books from conventional novels and storybooks to factual books, joke books and comics. We show children that there is something for everyone in the world of books. If you have an interest in Space – a book can nurture this. If you find a thick chapter book daunting – try a comic book instead. We ask the children what they want us to bring and do our best to fulfil their wishes, even if it means buying the requested book especially. 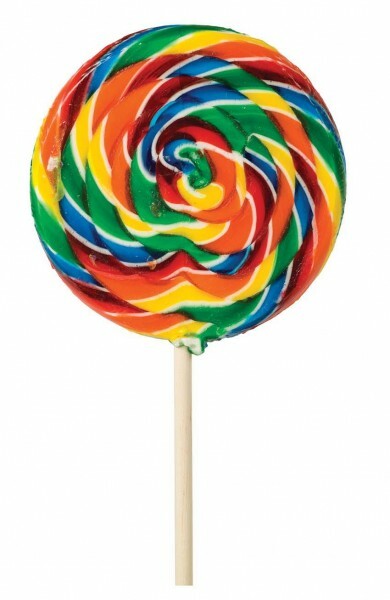 This makes children feel confident in their own choices and listened to. We are careful to let the child lead the reading sessions – if they don’t fancy a story one week, we’ll just swap books. If they are too tired to read out loud to us, we’ll offer to read to them. 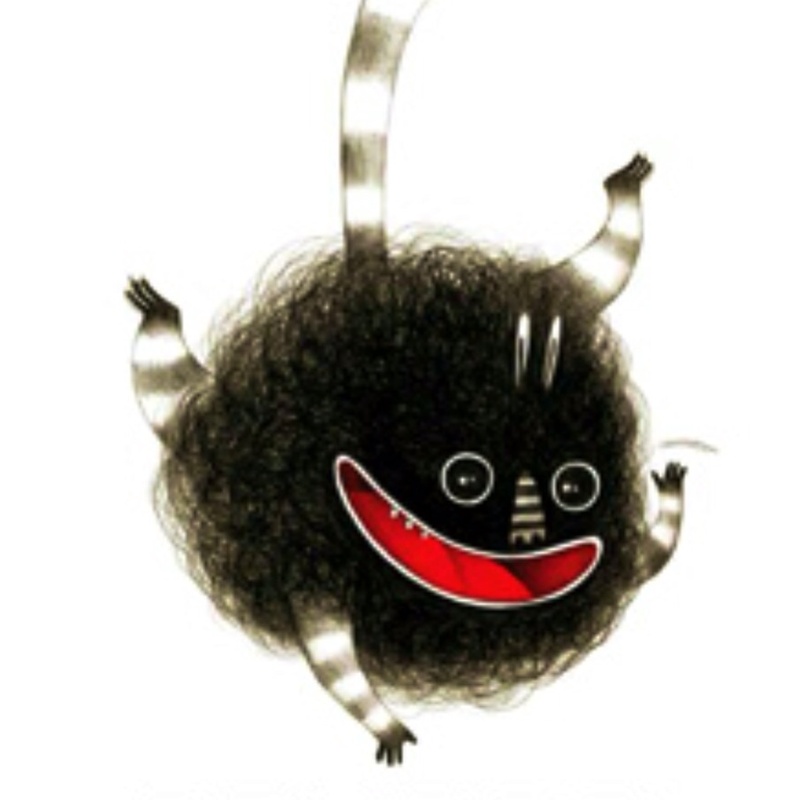 We want to make sure that our visits, and therefore books and reading, are associated with something fun. For the very little ones, regular interaction and conversation around a story book normalises reading from a young age, so hopefully it will feel much less like a chore when they do start school. The charity relies on volunteers, but how much of what you do is about enabling parents outside of these sessions? A big part of what we do includes involving the parents in the reading sessions. We find ways to engage with them and encourage them to stay in the room or join in. We talk to them about the books their children are reading and their progress. We are just volunteers who like reading with children – not teachers, not experts. We want to show parents that anyone can do this, and what’s more, it’s a hugely enjoyable experience and an important bonding time with their child. 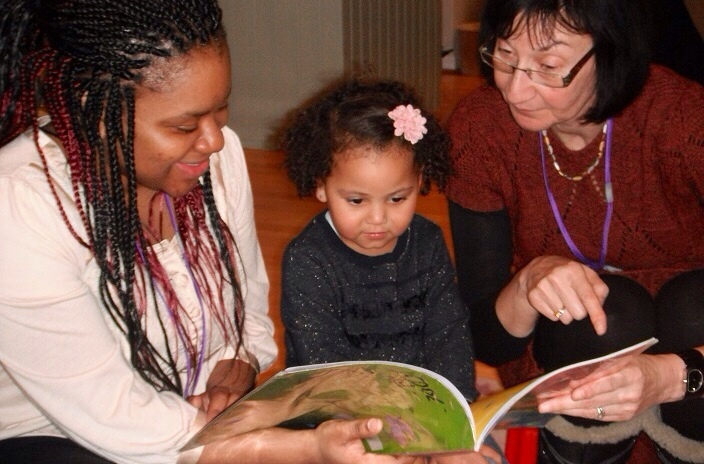 Parents can also observe our volunteers interacting with the children – asking them questions, talking about the story, counting objects on a page – which helps them not to expect their child to necessarily sit down and quietly concentrate on an entire story. They can make the story up or just talk about the pictures. Many of the parents we visit do this already, but there are those who don’t know how to go about reading with their child in a rewarding way – perhaps they were never read to as a child, perhaps they don’t feel they have the time, perhaps they aren’t confident with their own literacy. We show them by example that the sharing of a book in any capacity is a valuable and enjoyable experience. Any particular books you and the volunteers have had a great reaction to? So many! Anything by Julia Donaldson or Nick Sharratt are winners with most children. For the older children, The Diary of a Wimpy Kid by Jeff Kinney, and books by Jacqueline Wilson and Michael Morpurgo are always popular. 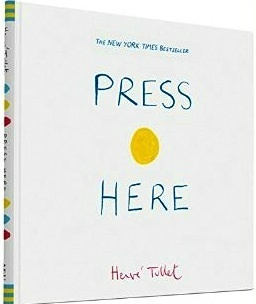 We have recently discovered an author called Hervé Tullet who creates very unique and interactive books. Volunteers delight in reading Press Here with children – there’s a page where you’re told to press a painted dot, then you turn over the page, and find it’s changed colour. Or you shake the book and find on the following page that the dots have fallen out of alignment. The reactions from children as young as 3 up to those as old as 11 – and even our volunteers – have been of wonder and excitement. Go to www.doorsteplibrary.org.uk to learn more about Doorstep Library and watch a short video about the work they do. I chatted to Sangeeta Bhadra, author of Sam’s Pet Temper, about books from her childhood, inspiration and taking Sam into schools. You mentioned that a lot of your favourite books as a child were British ones. Can you remember any that you particularly loved? What was it about these books that really spoke to you? So many of the great children’s books are British that it’s no surprise they’re some of my favourites. I loved going on adventures with Paddington Bear and Pooh Bear, with Alice and Peter Pan, and journeying to Narnia. My fondest memories belong to Beatrix Potter, probably because I was very young when I first met Squirrel Nutkin and the rest of her characters. I adore Roald Dahl. Matilda is a very special book for me; I remember reading the words, ‘books transported her into new worlds’, and understanding at that moment why I loved reading so much. Also, the books I loved appealed to me because the writers didn’t speak down to children and didn’t feel the need to educate. They simply told their stories. How did the idea for Sam’s Pet Temper come to you and why was it a story you wanted to tell? I’m often asked whether I had temper tantrums as a child (no, never) or if I researched the topic before getting started (again, no). I didn’t plan on writing a book on this topic at all. I consider Sam’s Pet Temper to be a gift, really. I was working on another story at the time when the idea just came to me – ‘But it’s not my fault, it’s my Temper!’ ‘Well, control your Temper!’ My head was so full of this story that I dropped what I was doing and got the first draft down in one sitting. I honestly have no idea why I chose the name Sam. The main challenge with the story was to sneak in the ‘moral’ without being didactic. Books with overt lessons did not appeal to me when I was a child so I was especially careful to avoid this. What has the response been like taking the book into schools and libraries in Canada? What do you think is the impact of author visits on children? The response has been very positive so far. Writing is a lonely, although fulfilling, process. Through readings and school and library visits, a writer is able to get a sense of how their work is being received – and with children’s books especially, your audience will be very honest about what they think! On the other side, author visits are wonderful experiences for children, and can be quite inspirational. I loved books and enjoyed creative writing, but it took an author visit to my school at age eight to fuel my ambition of being an author myself when I grew up. I think I must have realized then that regular people had written the books I read, which opened up possibilities for me to dream about. What’s next for you? Any other books in the pipeline? I love catching up with my nieces, nephews and assorted little ones over Christmas. 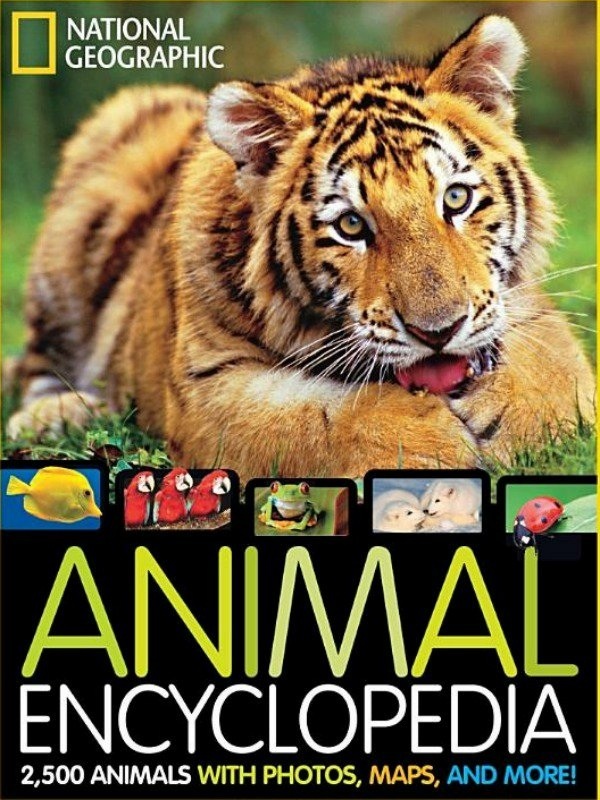 I was delighted to hear that my nephew’s most-loved present was The Roald Dahl Treasury (The BFG is his favourite story) and my neice’s favourite gift was her Animal Encyclopedia (which we consulted after dinner when my brother-in-law was described as a ‘sloth’ lying on the couch). As pleased as I was to hear that they enjoyed the books more than other presents, I did wonder – do we put so much scrutiny on children’s reading habits that they feel they have to like books in order to impress us? Do they know they’ll please us more if they tell us they prefer them to their Xbox? Also, when it comes to gifting books, do we push the ‘old’ authors too much as a safe choice for us instead of taking a risk on a new book? Meeting my friend’s 15-month-old girl for the first time, I gave her the stunning How to Hide a Lion by Helen Stephens as a present. She held the book up, looked at the cover, turned it around and upside down, and then pointed at herself and then at her mum to be read to. Her mum read a page and then she wanted the book back, which she then passed around the table for us all to admire. It was obvious that she already had a strong, innate interest in physical books. I suppose it can only be a positive thing if we, as adults, place a high value on books and communicate this – consciously or subconsciously – to the young readers in our lives. And I like to think that it is our duty to celebrate the authors we loved as children, to pass on a storytellling heritage, as long kids still enjoy them and we allow them to discover new authors and explore their own interests. So this year I’ll continue to ponder about the books we create for children and how they support their development, and children, I hope, unsupervised and unanalysed and unabashed, will keep reading the material they like the most. 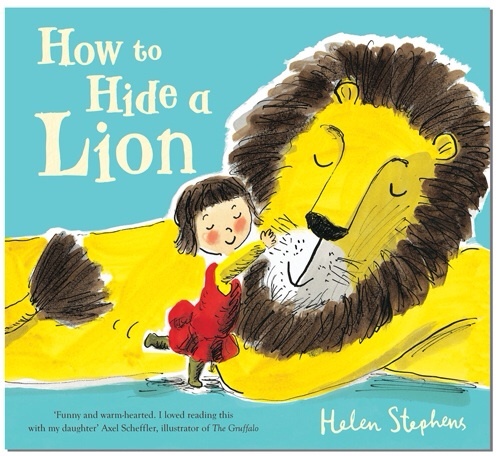 How to Hide a Lion, by Helen Stephens, published by Alison Green Books, The Roald Dahl Treasury, published by Puffin, and Animal Encyclopedia, published by National Geographic Society, are available now.